Learn how to use each type of lead in an essay introduction. 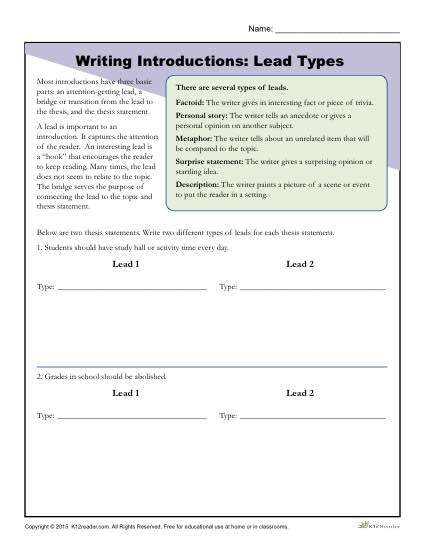 Students will become familiar with writing attention grabbing leads after practicing with this helpful writing introductions worksheet. This activity includes learning about factoid, personal story, metaphor, surprise statement, and description leads.